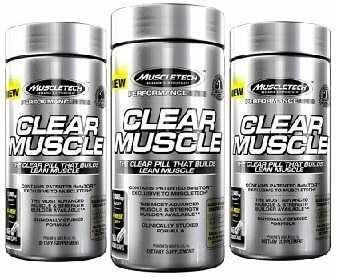 Clear Muscle is turning out to be Muscletech’s latest undeniably effective muscle supplement. We speculated, researched, and even tried it twice personally – and there is zero room for hate. When taken appropriately (as directed) alongside aggressive physical activity, Clear Muscle is a definitive muscle synthesis enhancer. Though, being an HMB derivative these gains are actually the cumulative benefit of huge anti-catabolic effects! 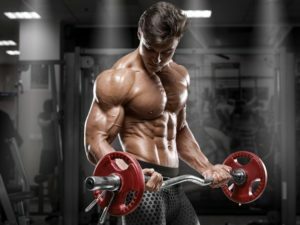 In this Clear Muscle review, we’re going to go over the science, the general bodybuilding consensus, as well as the BWSB team joint review on this potent muscle builder. All in all, we don’t think you will be disappointed. Behind all of Muscletech’s flashy advertising and hype, remains Clear Muscle as a single ingredient bodybuilding supplement. 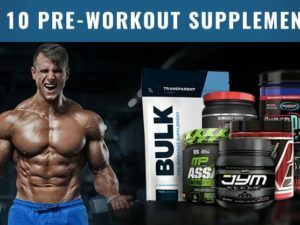 Clear Muscle, is a unique form of the popular supplement HMB which has been around for quite a long time – with several convincing studies boasting its effectiveness. Clear Muscle on the other hand, claims to take these benefits to the preverbal ‘next level’. Clear Muscle is a free-acid HMB supplement. This is different, because historically HMB supplements have been Calcium HMB. Apparently, by using HMB in the free acid form (BetaTor), Muscletech has improved the overall effectiveness of the supplement. These are incredible claims, and most of them are brought forward by the results of this clinical study you can see here. In 2014, Wilson and his team evaluated the effects of free-acid HMB versus placebo in athletes. For over 12 weeks, they put these guys through the grinder not only training hard, but in many instances overreaching. Overreaching, is what is popularly called overtraining – the standard point where you exhaust your body through lifting to the point that you compromise your gains and performance. Interestingly, free-acid HMB resulted in better performance during training and overreaching, as well as better overall recovery. By what degree? A lot. Taking a look at the data, the free acid HMB group had mass and performance gains at least 2X that of placebo in nearly every criterion. Again, you can see the full text for this study right here. Yes, there are studies where participants have gained 16 pounds of lean muscle taking Clear muscle for 12 weeks. But, that’s not going to be your story. Unless you have your own personal chef, personal trainer, and a laser sharp focus – 16 pounds is out of the question. But, you can still build some serious glory with Clear Muscle. Based on our experience, once you start hitting the weights with Clear Muscle in your body – some magic starts to happen. You’re going to feel stronger, have more energy, and even look a little more ripped and swole towards the end of your lifts. While you’re laying down on the bench, rocking those first few reps, you get the sensation of being on creatine to a certain degree. That extra bit of power in your muscles. A sensation that can be taken to the next level if you actually do take creatine in synchrony; which we often do with great benefit. As a whole, this little clear pill does help in the gym to a noticeable degree. You do have to be one with your body to be aware of what’s going on – but its present. What really counts with a bodybuilding supplement like this, is, how it builds your body. Clear Muscle is quite capable of adding extra pounds to your frame, as long as you are capable as well from the start. This supplement in particular, really takes advantage of overreaching and making use of extra work. If you can extend beyond eating good, to eating good and training absurdly hard – clear muscle will make you build more muscle than what you would have done without it. To put on a number on it, the BWSB team averaged 6 pounds of lean muscle gain over 12 weeks taking clear muscle as recommended. This, was substantial; especially considering the fact that there was a lot of extra fat metabolism happening at the same time. If Clear Muscle was stacked with other supplements, surely a higher poundage gain could be reached. When you begin your clear muscle cycle, make absolutely sure you are incorporating heavy compound lifts. Those squats, deadlifts, and bench presses are essential to your gains. Isolations are just not making the cut. Good luck to you!